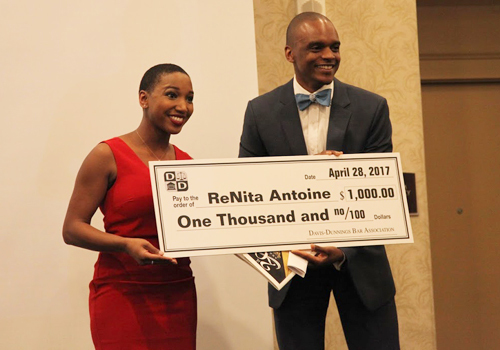 The youngest of eight, and a first-generation college graduate and first lawyer in her family, ReNita Antoine has always had a desire to help those who cannot help themselves and be the change people want to see. In high school, she participated in the YMCA’s Youth and Government program, drafting a bill and competing against students in her hometown of Houston, then against students around Texas. Antoine earned her undergrad degree in Criminal Justice from Lamar University in Beaumont, Texas. As a student, she was heavily involved on campus and in the community; she was initiated into the Eta Psi Chapter of Delta Sigma Theta Sorority; and interned at the Jefferson County District Attorney’s office. After working as a clerk/receptionist at a Houston firm, and as a co-producer for a local TV show, “Truth & Justice with Vivian King,” Antoine headed to the WMU-Cooley Law School campus in Lansing. 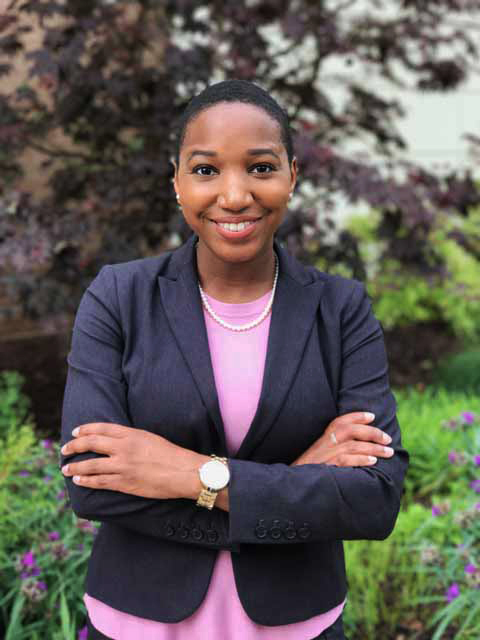 While in law school, Antoine competed in the National Black Law Student Association Thurgood Marshall Mock Trial Competition, that she believes prepared her for an 11-week internship with the Prosecutors Attorney Association of Michigan (PAAM) in southwest Michigan’s Berrien County. At PAAM, where her internship involved working as an assistant prosecutor, Antoine counseled with individuals to provide them with appropriate charges and negotiated with defense attorneys for plea deals. “I received actual trial experience and was exposed to the daily workings of a prosecutor’s office,” she says. In addition to her studies, she served as the head representative for the WMU-Cooley-Lansing campus for Barbri Inc., a bar preparation company that has been helping students for five decades. She also worked as a data specialist for the State Court Administrative Office Trial Court Services Division, traveling throughout Michigan to collect data for the Swift and Sure Sanctions Probation Program (SSSPP) — a program that targets high-risk felony offenders with a history of probation violations or failures. Outside of school, Antoine volunteered with the Building Child and Family Initiatives – MAGIC of Reading Program (MOR), helping children in grades K – 6 hone their reading comprehension skills. In her final semester at WMU-Cooley Law, Antoine externed with the Resolution Services Center of Central Michigan (RSCCM) in Lansing. She observed civil and domestic mediations, co-mediated small claims disputes, and conducted intake interviews. At WMU-Cooley’s honors convocation, Antoine was honored with the Leadership Achievement Award. She received further kudos in being awarded the Otis M. Smith scholarship at the 20th Annual Davis-Dunnings Bar Association Otis M. Smith Scholarship Banquet. The Houston native is taking the Texas bar exam this upcoming July and plans to return to her hometown. 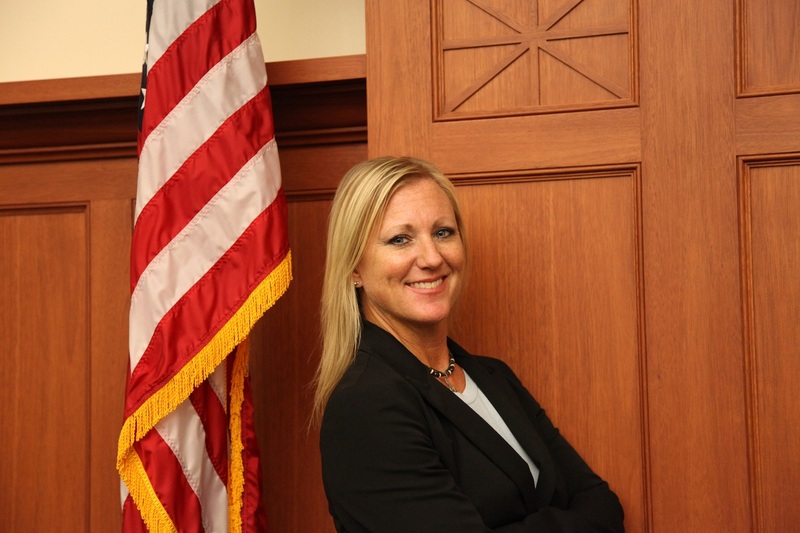 Interested in bankruptcy law, estate planning, negotiation/mediation, and politics, she plans to advocate for clients and her community on a local and national level. 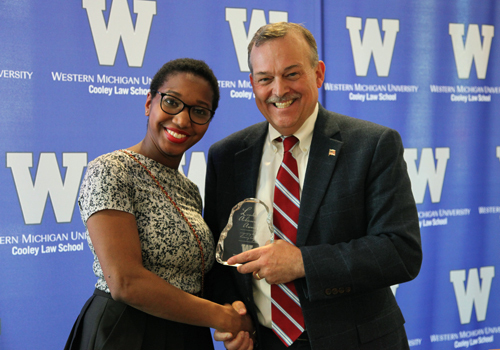 This article about WMU-Cooley graduate ReNita Antoine was written by Legal News writer Sheila Pursglove originally published by the Legal News on June 28, 2017. It is reprinted here with permission of The Detroit Legal News.